In February, a team behind NASA’s Spitzer Space Telescope announced a historic discovery — seven Earth-sized planets in a nearby solar system, three of which orbit the star’s habitable zone. It was the largest haul of potentially habitable planets around a single star, exciting scientists and the public alike about the possibility of discovering extraterrestrial life. “This discovery could be a significant piece in the puzzle of finding habitable environments, places that are conducive to life,” said the associate administrator of the agency’s science mission directorate, Thomas Zurbuchen. Now, astronomers at the Planet Foundation want your help observing nearby exoplanets in search of life, seeking support via a Kickstarter campaign launched this week. They’re building a series of telescopes 10,000 feet up on the Hawaiian island of Maui. “We’re trying to take this academic endeavor of finding signs of life on nearby exoplanets and open it up to the general public,” Kevin Lewis, who works on the campaign, told Digital Trends. Split into three phases — each set to expand the telescope a bit more than the last — the PLANETS (polarized light from atmospheres of nearby extraterrestrial systems) Telescopes are specifically designed for observing exoplanets with features like advanced polishing and ultrathin mirrors. These technologies make the PLANETS telescopes unique by reducing glare from stars and making the features of the exoplanets — including bio-signatures, geological formations, and maybe even technological signals — more visible, according to the campaign. The first phase is about half done, with completion estimated around 2019. 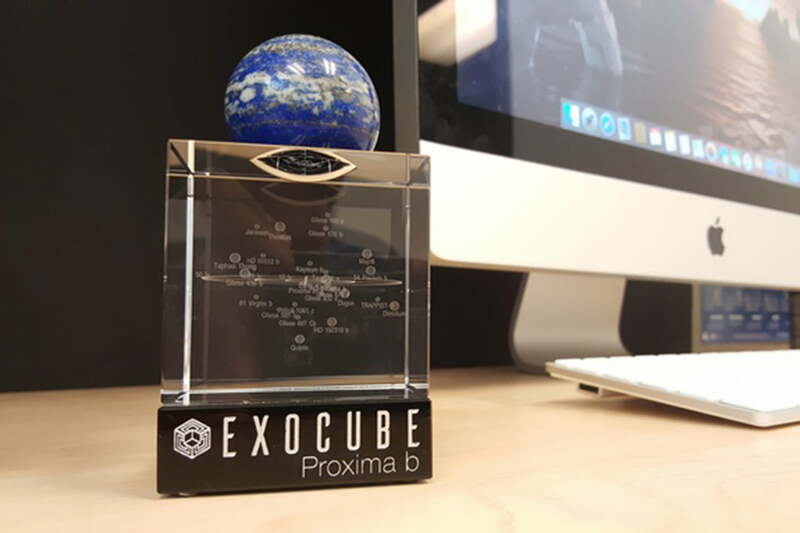 Recognizing that many people offer support in exchange for a reward, the PLANETS Telescope team have developed the ExoCube, a 3D map of our neighboring exoplanets adorned by a sphere representing one of these celestial bodies. The maps and spheres are available on Kickstarter for pledges of $140. With a month left to go, the campaign has earned over $18,650 toward its $20,000 goal.